Yes, there is a solution I know that can help. Actually, either iTunes video purchases and rentals can be DRM removed with iTunes video DRM removal software. Prior to the existence of iTunes video DRM removal software, many people use screen recording software (video DRM removal freeware) to remove DRM from iTunes video, but this method is not only time-wasting, but also causes quality loss. Here in this post, I am going to introduce a piece of iTunes video removal software to you for removing iTunes video DRM. Part 1: Why Remove iTunes Video DRM? As is well known to us all, iTunes videos are protected by Apple DRM. So, why do we remove Apple DRM video? Well, iTunes videos cannot be played elsewhere other than on iTunes. Even after purchasing videos from iTunes Store, you can only enjoy iTunes videos on limited devices authorized by the Apple ID used to purchase those videos. Apple’s DRM makes it impossible to freely play iTunes videos. 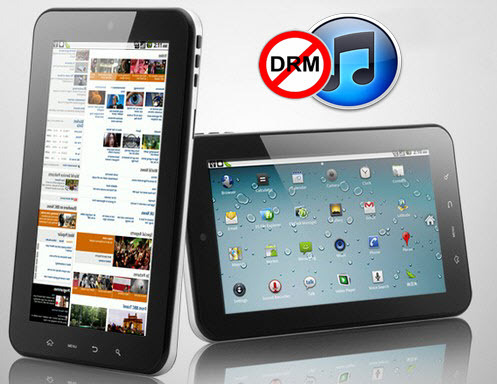 In order to play those iTunes videos on any device, you need to remove DRM from iTunes videos. After removing iTunes video DRM, you can play the video files on any media player, and you can also transfer those video files to other devices for on-the-go playback. Let’s say, you have a Samsung Galaxy S7 edge phone, and would like to watch iTunes videos on the phone, what can you do? Of course you can remove DRM from iTunes videos and then transfer the removal result to the phone. Here I am going to introduce a piece of professional video DRM removal software, named as Leawo TunesCopy. As a iTunes DRM revomal, it can remove iTunes video DRM, be it iTunes movie or iTunes TV show. Moreover, it can play the role of DRM media converter to convert iTunes encrypted M4V files to common MP4 files for universal playback. Download and install Leawo TunesCopy on your computer before you start to remove iTunes DRM video. Kick off Leawo TunesCopy to get ready for iTunes video DRM removal process. Please take note that during the running of Leawo TunesCopy, you are not allowed to operate iTunes. Moreover, you need to authorize your computer with the Apple ID to play the purchased or rented iTunes videos. When everything is ready, you can follow the step-by-step guide below to remove DRM from iTunes videos with Leawo TunesCopy. After entering the main interface of TunesCopy, you can click “Add Files” button on the sub-menu bar or “Add Files” button in the middle of program interface to browse and choose iTunes video rental or purchase in the pop-up “Add Files” panel. Choose at least one iTunes video file and click “Add” to begin importing iTunes video file into TunesCopy. TunesCopy allows you to import all files at a single time by clicking “Add All” button. After importing iTunes videos into TunesCopy, you can view the file list under different categories “All”, “Movie”, and “TV Show”, and you can also choose one file and click “Remove” button to remove the file from the list. The “Clear” button on the sub-menu bar is designed for removing all files in the list at one go. Before removing DRM from iTunes M4V, you can choose an M4V and click “Edit” button to freely choose audio tracks and subtitles for keeping in the output MP4 video file. Click the blue “Convert” button at the bottom for removing DRM from iTunes M4V videos and converting M4V to MP4. After a while, the iTunes DRM removal and conversion process will be completed. You have successfully removed DRM from iTunes videos. Now you can enjoy iTunes videos unlimitedly.